locr partnered with Josera, a German pet food retailer that uses online data to create customer-centered highly-personalized direct mail. The company feeds locr visitor data from their website. 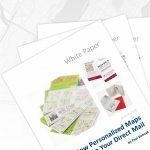 From this data, personalized maps are created, printed and sent out together with welcome packs to introduce new customers to the brand and direct them to a choice of local retail outlets. The campaign addresses pet owners that ordered a pet food sample pack via the Josera website. On the Josera website, customers can provide information about their pet and order a sample pack personalized to their pet. This sample pack includes cat or dog food samples and discount vouchers for Josera products. The mailing also includes a postcard, personalized to the pet owner, with a map that shows useful travel information and the locations of the Josera retail outlets where the vouchers can be redeemed. Marketers continue to adopt new tools and technology as they search for ways to get a better return on their marketing investment (ROMI). Josera uses their website to generate customer data and then uses this data to create personalized direct mail packages. In doing so, the company creates a connection between online data and high-quality physical mailing pieces. It’s all in the mix! More and more marketers have discovered the power of taking email into the real world. Both email and direct mail have their advantages in the marketing mix. And making them work together can amplify the return on your marketing investment. 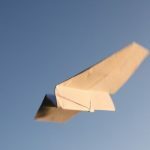 A best practice example that connects online and offline efforts is programmatic mail. With growing opportunities to integrate online and offline, adding customer-centered value to direct mail becomes more and more effective. Programmatic mailing refers to online actions that trigger sending a physical mail. This can be an abandoned shopping cart, a purchase, or just the visit to a certain web page. Make use of the many possibilities for designing a direct mail piece to underpin your marketing efforts—like color and size of the envelope, paper weight and texture or font and design of the content. Make sure to include a clear call to action (CTA) that makes it easy for the recipient to seek you out online. Consistency is a key method in direct mail marketing. The goal for these campaigns is not just to increase sales, but also to increase customer retention and to gather as much information as you can about your prospect so you can use it in other marketing campaigns.